Looking for Independent Mercedes Repair? Your search for “mercedes mechanic near me” is over. 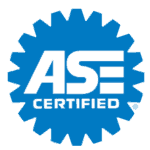 Our ASE certified auto technicians are skilled Mercedes mechanics. 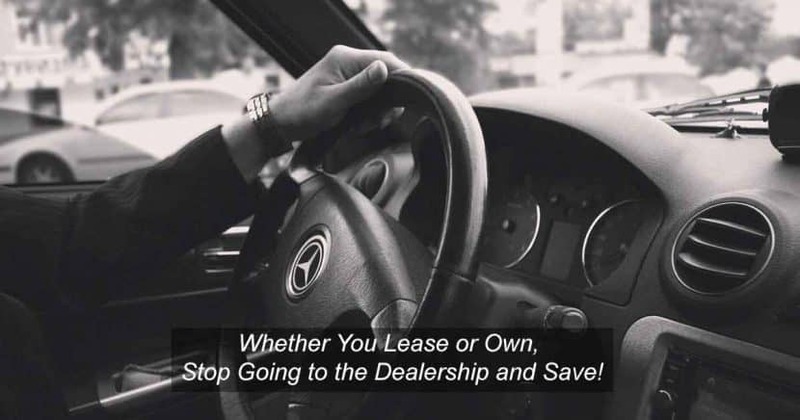 Our team can service your Mercedes-Benz as we are a lower cost dealer alternative. From replacing your Mercedes brake lights, setting new brake pads and rotors, servicing MBZ transmission, to inspecting a used Mercedes pre-purchase. We know Mercedes. We are well versed in Mercedes-Benz computer control modules and auto parts. We can help you get the most out of your warranty. We will always send you to the dealer when you’re covered. I recently purchased a used Mercedes-Benz. I need a 120k service? It is a common question we get about doing a recommended service for a car with high miles. The customer generally wants to know what the cost is but there is no simple answer. 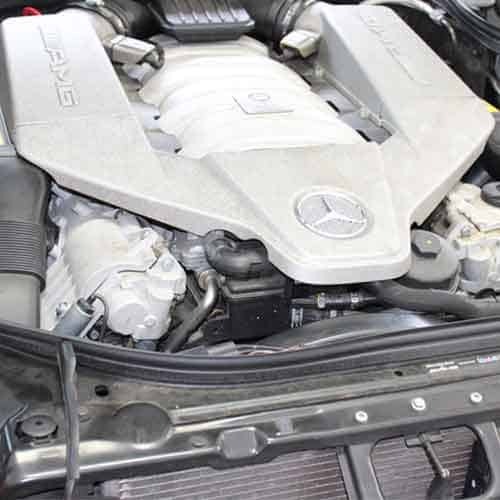 If the car has not followed the Mercedes-Benz recommended service intervals we can’t determine what the car really needs at 120,000 miles. The solution we recommend is to bring the car in for oil change Service. This should be done every 5,000 miles. At that point, we will inspect the car to see if additional services are needed. How much does Mercedes B Service cost? B-Service for MBZ consists of oil service and replacement of air filters, along with the Mercedes interval checklist. Costs start at $190 depending on your Mercedes year & model. My Mercedes brakes are squeaking. Do I need new brakes? We would have to complete a Mercedes brake diagnostic to pinpoint the issue. You may need new brake components or a brake fluid flush. Costs vary depending on parts and labor. The Mercedes-Benz brake system consists of brakes pads, sensors, and rotors. See auto brake repair diagram for a visual. Call our office with your vehicle information (year, make, model) and we will provide an estimate to fix your brakes. How often should the brake fluid in my Mercedes be changed? The recommended interval to replace brake fluid is every 2 years or 20,000 miles. We have competitive labor rates at $140 per hour. 1975 was a historic year for the auto repair industry and European Motors. 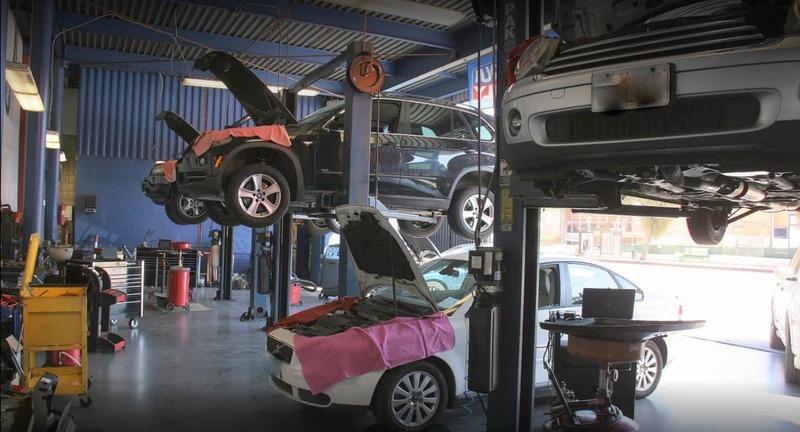 The US Government voted on a law preventing any dealership from denying warranty service because routine maintenance was performed at an independent auto repair shop. That same year European Motors opened its doors in Los Angeles the Magnuson-Moss Act of 1975 was passed. Contact European Motors and repair your vehicle today!